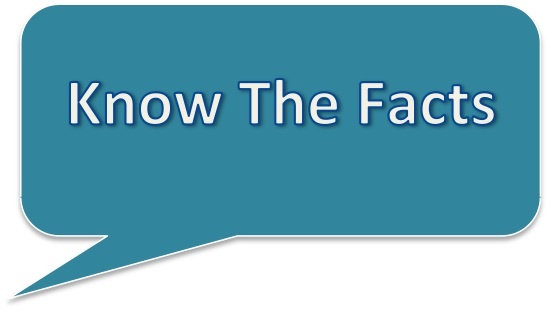 PHOTOS & DATA: UFO SIGHTINGS = FOO FIGHTER PROOF, THEY ARE HERE! WHAT DO THEY WANT? 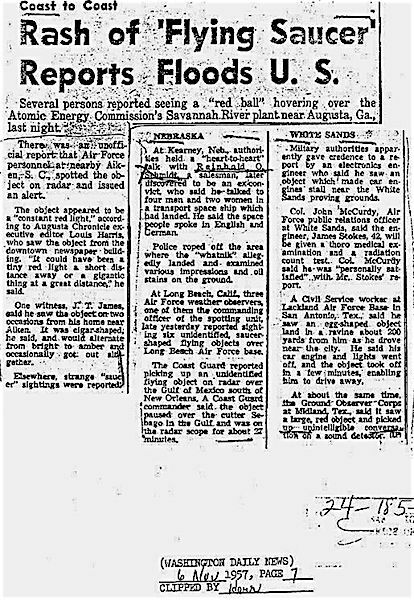 PHOTOS OF NOT WELL KNOWN UFO SIGHTINGS ALONG WITH THE TRUE STORY OR DATA THAT IS LINKED TO THESE FOO FIGHTER HAPPENINGS. 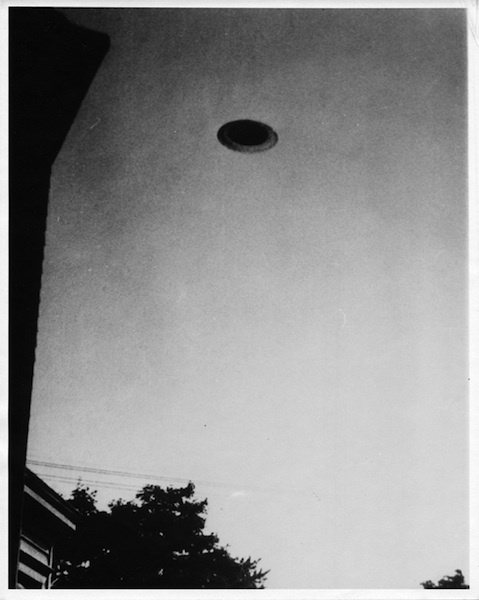 ON JULY 29, 1952 George Stock was in his backyard at 381 Brooks Avenue, Passaic, New Jersey when he took the following pictures of a UFO that flew over his house. 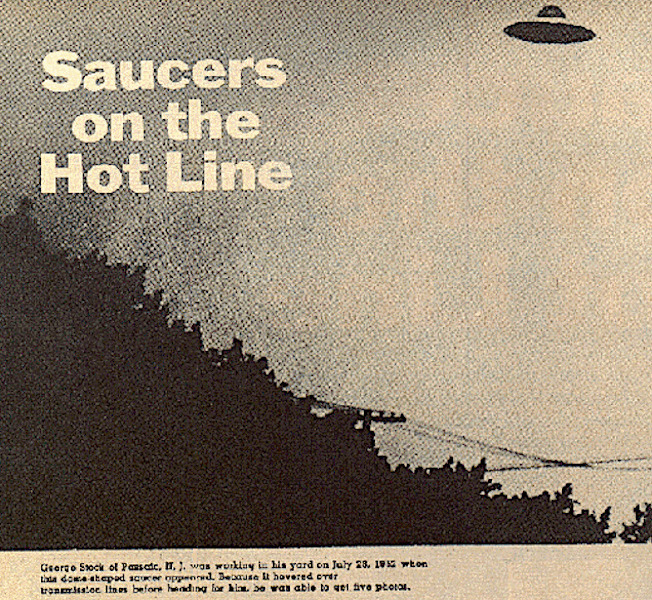 It was estimated that the Flying Saucer was 25-29 feet in diameter and about 200 feet off the ground. 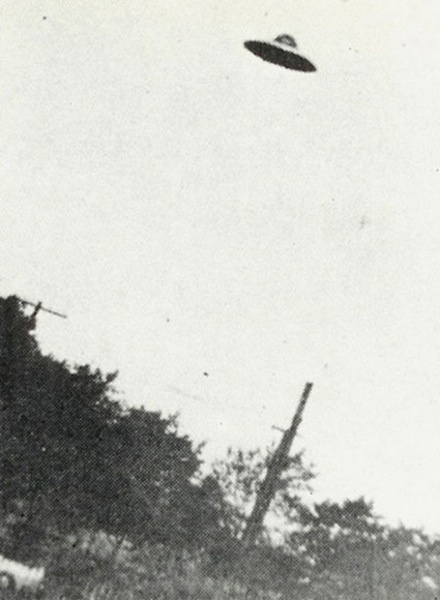 Stock ran after the craft and took these photos, his friend John H. Riley witnessed the 4:30 in the afternoon event. 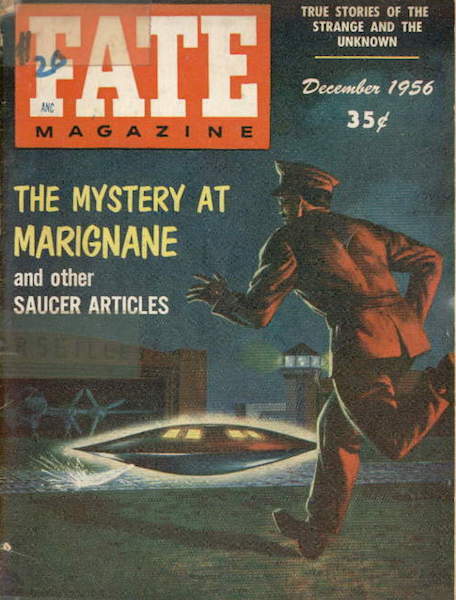 The craft had a blue gray metallic body color, its dome was greenish blue. These photos are thought to be legit. Stock was not known prankster, also the tilt of the craft is from Stock turning his camera as he ran. 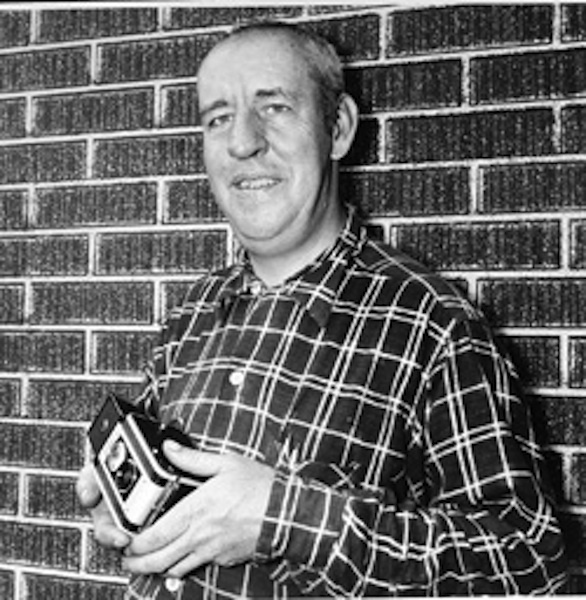 The first photos I saw of this incident was many decades ago and that photo is below. 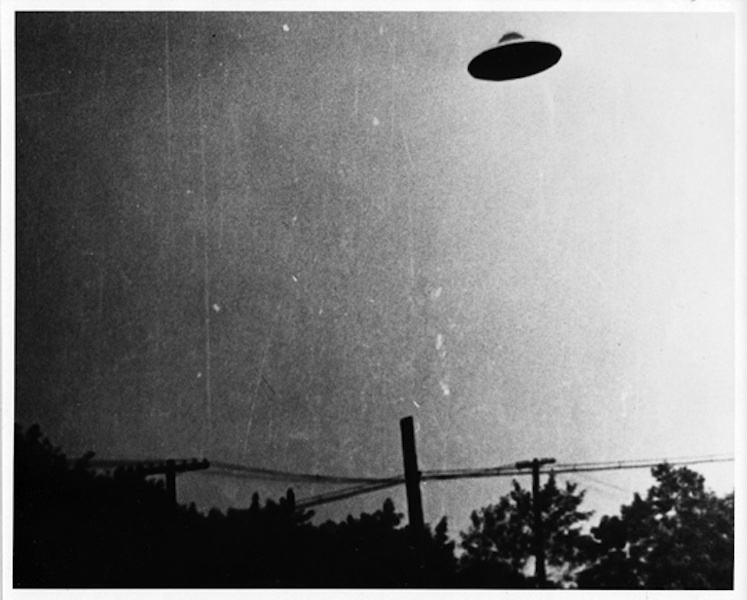 By going by just one photo, I thought this was phony flying saucer snapshot. 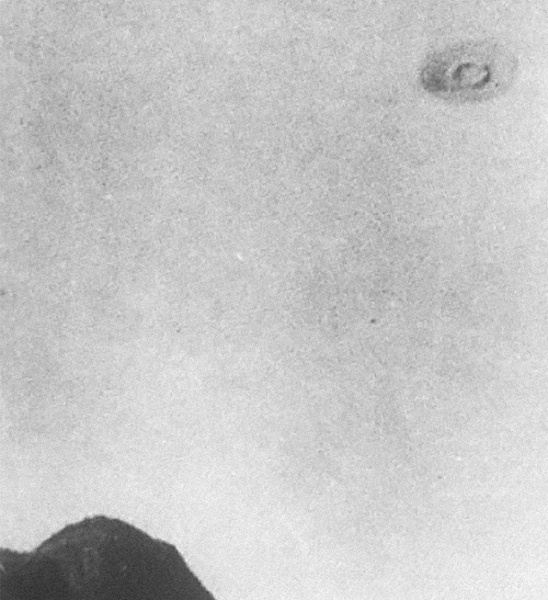 Now that I have seen the shots, no just one, the more I looked at them, I now think I could be wrong and Stock did shoot a classic flying saucer. 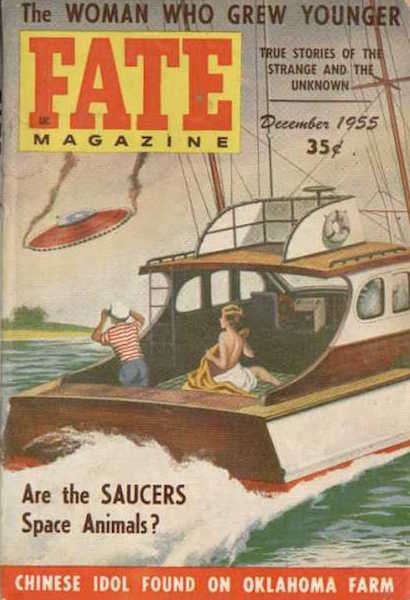 The question is, why are there few flying saucer craft seen now a days? Is it a new species that is visiting Earth in different craft? I doubt that the new craft that are witnessed today are the result of a radical new design. 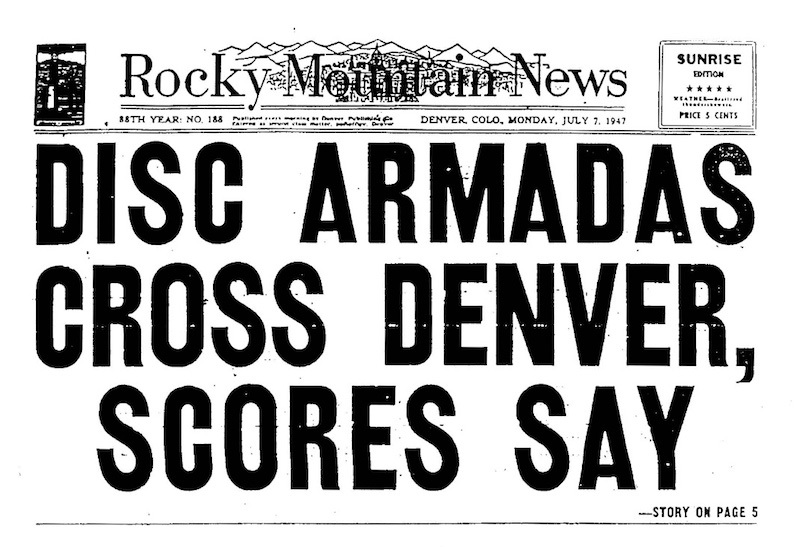 Today, when there is an Alien encounter there is rarely a craft in the dispatch. 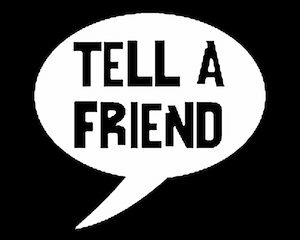 People report GRAY beings, ugly emotionless creatures appearing in somebody's house, this is followed by an abduction or a meeting. I have my doubts about a lot of these Gray encounters. 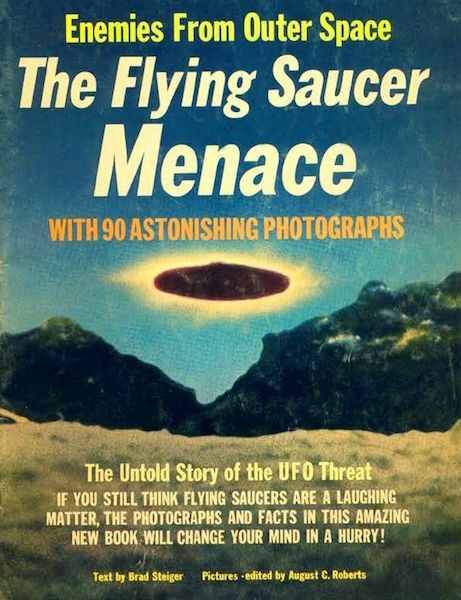 It is of note how few flying saucer photos there are today as compared to the 1950s or even 1960s. WHY? Are different creatures visiting Earth, the 1950s & 1960s visitors are no more? 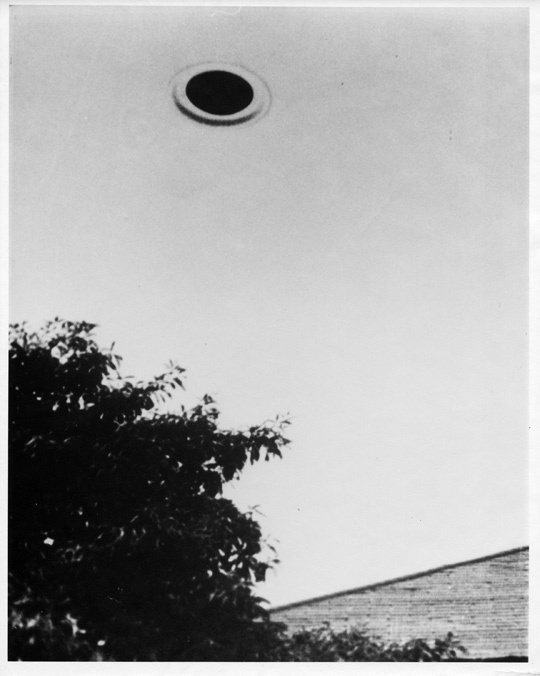 The below short docu is on the above PASSAIC, NJ sighting of July 29, 1952 by George Stock. 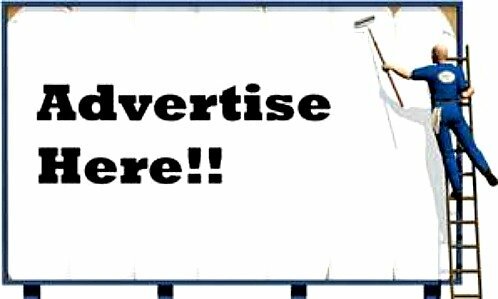 The video is done by OPEN MINDS PRODUCTIONS -- it one of the better ones out there --- it was done years after the above page was posted --- no, I am not an associate of that video company. 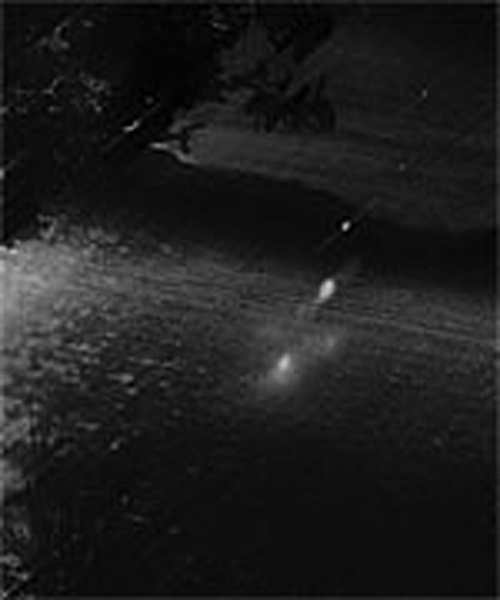 RIGHT: This photo was taken on July 10, 1947 by John H. Jansen, in his airplane at about 6,000 feet over Morristown New Jersey. 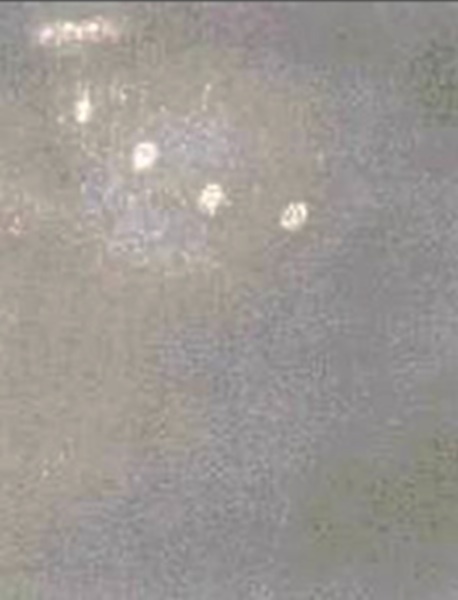 Jansen was able to capture four of the craft in his photo, but was certain that their were six craft. I count 4 sourer craft and is that the mothership or two of the saucers linked together? 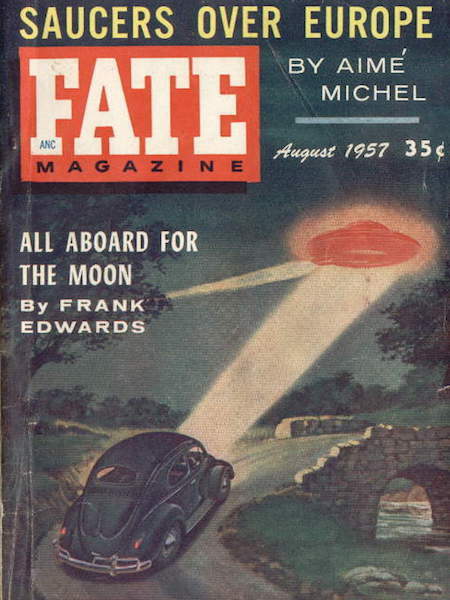 Jansen had another encounter with two UFOs on July 23. In this incident his engine died, but he plane not plunge to the ground. As his plane glided, he felt as if he was being examined by an electric prickly field. Once the sensation left him, the engine came back to life. Jansen maintained there was a UFO on his wing and beyond it anther one on this later encounter. RIGHT: The Naga Fireballs, they are probably a unique form of Asian Swamp Gas. 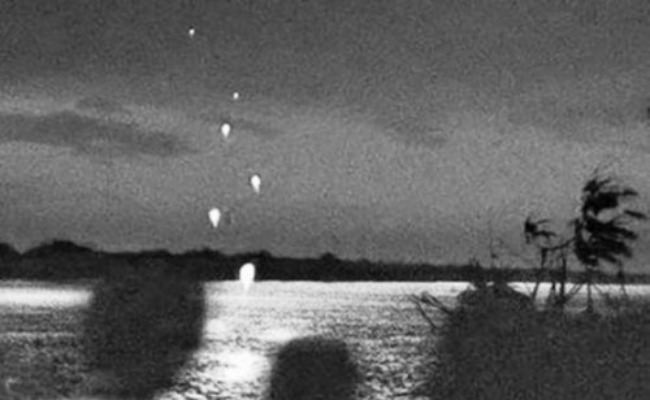 These fireballs are sometimes classified as UFOS, they are seen in October on the Mekong River between Thailand and Laos. I first heard of these in the mid 1960s. The Thais, claim that a dragon or sea serpent wakes up in the Mekong and the fireballs are part of his breath. Skeptics claim the balls of light are the result of Thai fireworks and Laotian soldiers firing off their weapons on the other side of the river. 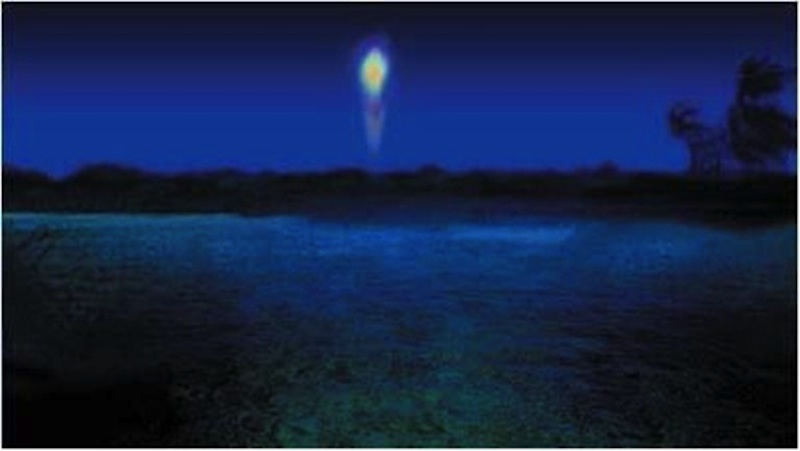 The fireballs may be some type of Mekong river gas that is ignited and is then propelled upward. Yet some think the fireballs are ufo activity. I vote NAY on this one. This October light show has been going on for hundreds of years. The BELOW two photos are from May 7, 1952-- Barra Da Tijuca, Brazil, they were taken at 4:40 in the afternoon by Ed Keffer. 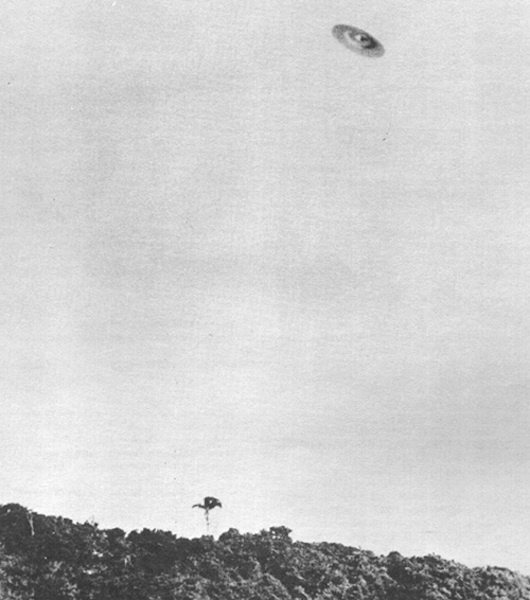 There were 40 witnesses to this UFO sighting. 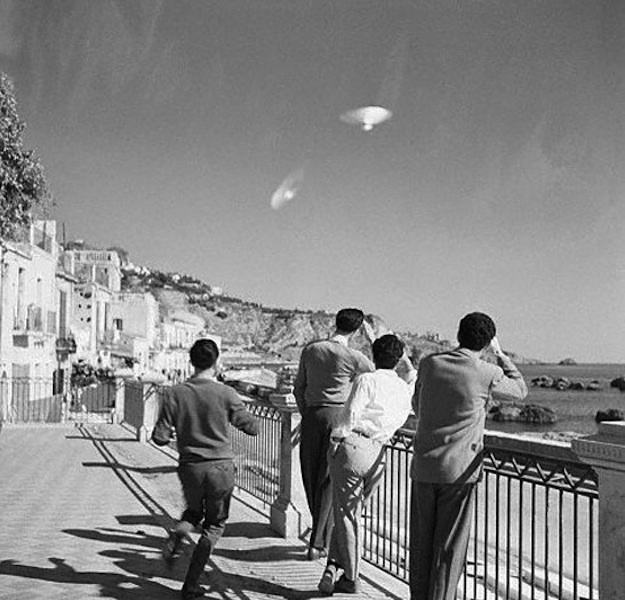 RIGHT: PHOTO TAKEN DECEMBER 10, 1954 IN TAORIMA, SICILY, BY GUISEPPE GRASSO. SUPPOSEDLY THE UFOS STAYED MOTIONLESS FOR A FEW MINUTES. IS THERE SOMETHING WRONG WITH THIS PICTURE. WHY ARE THE MEN LOOKING SLIGHTLY AWAY? IS THIS A HOAX PHOTO? Below something very strange! A UFO or life form feeding off the sun, take a look, a very odd video! MARCH 2012, by way of telescope with video. BELOW: Interesting doc from MEXICO on the LONNIE ZAMORA incident. Socorro, New Mexico 1964. 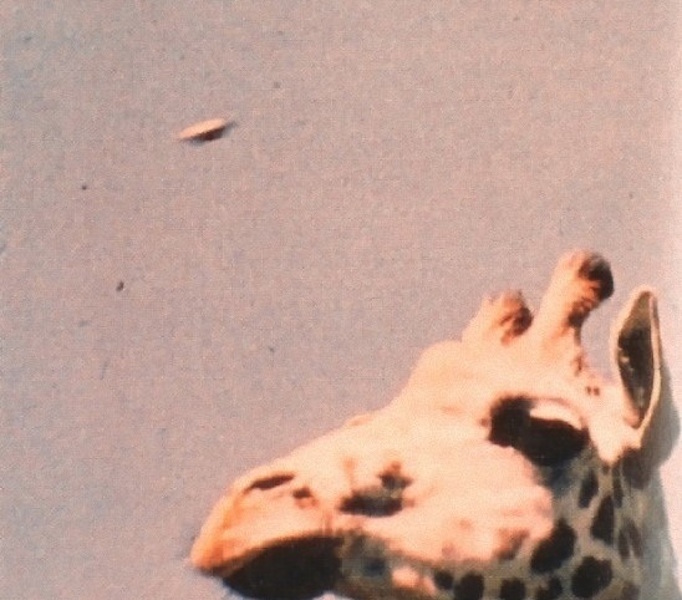 Below: Photo of UFO in Giraffe picture, 1972 DEVON ENGLAND. Skeptics say it is an insect.. Hmmm?